Nowadays, it is trendy to fish carp with a feeder or a spring feeder. Fishers prefer the bait that is hammered into the feeder, and actively lures the fish closer to the nozzles and even enhances its appetite. 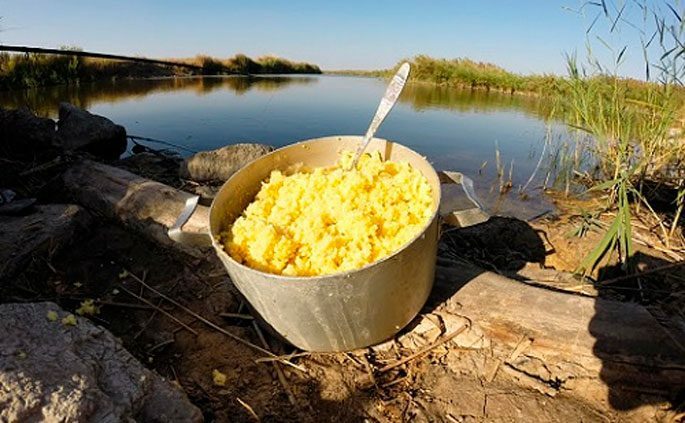 Besides, for baits, we frequently use porridge that is cooked on unique “fishing recipes” and putting together only the ingredients that the carp loves. It’s better to cook on low heat. Another requirement is constant stirring so that it does not burn. Otherwise, a burning smell will scare away the fish, and will negatively affect the result of catching. Among other things, porridge, as bait for carp, should not be too thin. On the contrary, it is desirable to make it dense, to keep it better in the feeder. Therefore, its density and viscosity are essential. Do not add too much water during the cooking process, and do not overcook, this can lead to an increased friability! Also, do not forget about the flavourings. They can be both purchased like attractants and dips, and ordinary household products – garlic, vanilla, fruit or berry jam, sunflower oil, flour products, etc. There are many recipes. The fact is that most anglers consider that such baits are more effective than purchased mixtures. 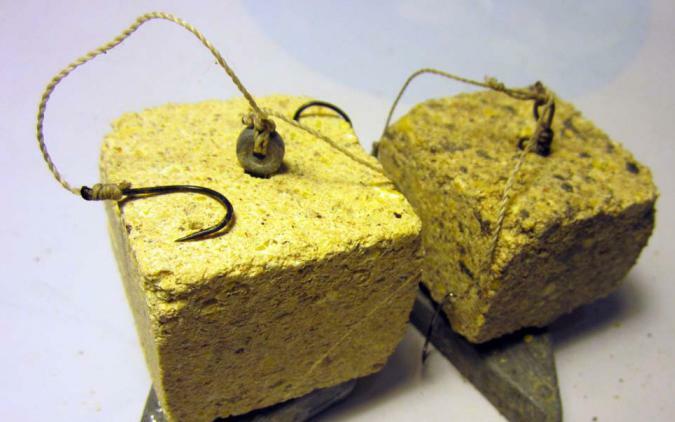 It is essential if you need to catch carp with a spring feeder or with various feeders. Besides, the cost of those types of bait is much lower than that of dry bait mixtures intended for carp fishing. It would help if you also considered, the best recipes that have long been proven by many anglers. However, I want to highlight that cereals for the spring feeders should be prepared only with fresh ingredients. At the same time, grain crops and dusty components should always be present in its composition. After all, some exude an attractive scent for fish, while others lure it with a fragrant cloud of turbidity and food. As we know, the carp diet is unstable. However, practically in any pond, this fish eats corn eagerly. Therefore, simple corn is considered one of the best options for bait feeder or various donkeys with a feeder. At the same time, it has a yellow colour attractive for carp, which helps to attract more fish to the place. Thoroughly wash your hands and all the dishes that you will use. The fact is that corn absorbs smells. Take about 200 g of corn cereal. You can buy it in many grocery stores. You can also grind ordinary corn with a coffee grinder. Heat a deep frying pan, and abundantly pour sunflower oil in it. 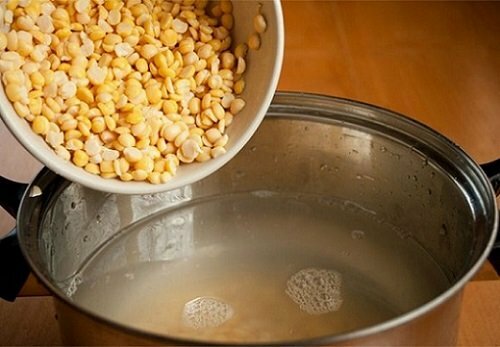 Now, fry the corn cereal within 2-3 minutes on minimum heat. Constantly stir with a wooden spatula. Then add a little wheat flour (about 100 g). Fry for a couple of minutes more. Now, pour clean or boiled water into the deep frying pan. Regarding amount, just eyeball it. But consider the size of the frying pan and the amount of cereal. Regulate heat so that it does not boil, and the water is gradually absorbed. Stir constantly. Turn off the heat, and wait for it to cool. Now divide the hominy into two parts, each in a separate plastic bag and tie each tightly. Put the bags in water and again cook the porridge for about 20-30 minutes. If you do not have a deep frying pan, then after roasting, pour everything into a container. A glass of press cake (can be replaced with ground seeds). A handful of finely chopped dill. You can cook the millet or boil it for a couple of hours. Mix all. Pour the egg, yolk and white, and then add the press cake. Mix thoroughly. Keep this bait in a cool place and a sealed package. This takes about 30-40 minutes to make. Therefore, anglers prepare this bait right before they go on a fishing trip. To this bait of millet and potatoes, you can add chopped worms or bloodworms. If you are going to use this bait, you will have to add the additives right on the shore. Pre-soak the peas for about 6-8 hours. The optimal amount of water is 1 to 5. It is, 200 g of peas will require 1 litre of water. Then, put the soaked peas on a plate and cook on low heat, constantly stirring, so it does not burn. As soon as the water boils, cook for 8-10 minutes. Remove the formed foam with a spoon. Next, add a teaspoon of soda and mix everything well. By this time, peas should be like a thick mass. Then reduce the heat to minimum, and pour into a saucepan with half a glass of millet or semolina, which absorbs the excess fluid. It will make the mixture more viscous and elastic. After about 2-3 minutes turn off the heat (you can leave the pan on the stove). Clean and wrap it in a towel (preferably). When the porridge is slightly cold, you can add honey, gingerbread or flavoured buns. Some anglers also pour a couple of tablespoons of sugar into it, because carp fish are very fond of sweet. Lastly, crush all the resulting mass. 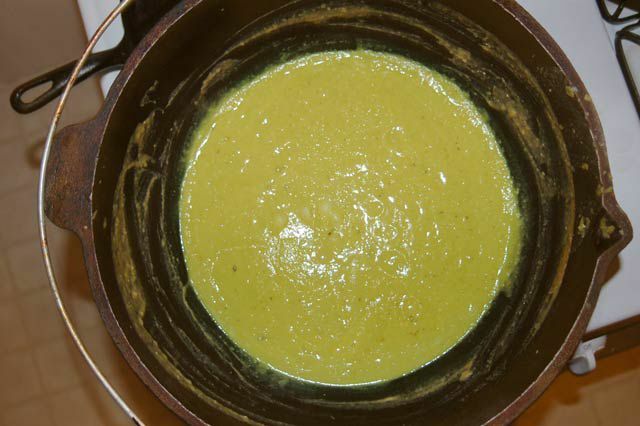 According to its consistency, pea porridge should resemble a dough. If the end result of a pea bait turned out to be too thick, then it can be diluted a little with milk. If, on the contrary, it is liquid, then flour, mango, processed cheese or cake is used. 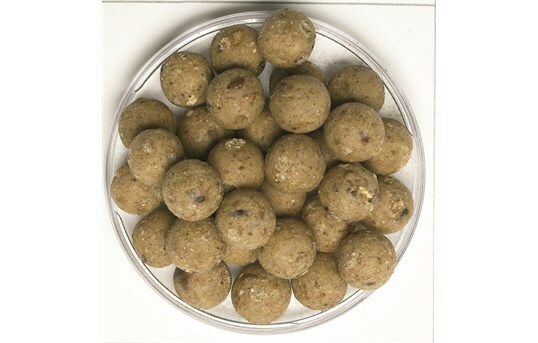 These components will make the bait more viscous and even enhance the feed activity of carp. Ground breadcrumbs – 150 g.
A glass of milk powder. A glass of press cake (or ground sunflower seeds). Egg powder – several spoons. Pour all the ingredients into a container and mix thoroughly. The dry bait is ready. Now, when on the pond, add water, soil and clay (if necessary). If you catch carp in boilies, you can crush them and include in the bait. Fishing carp with the use of a spring feeder demand the right bait. Porridge is very versatile in this matter since the angler can adapt it quickly to the feeder and can also prepare a vast range of lures with it. The most common ingredients are corn, peas, millet, mixed feed, sunflower seeds, potatoes and flour. It is important to mention that you should cook porridge on low heat and stir constantly. Another factor is the consistency, for it should always be dense (for better fixing to the feeder) as well as the viscosity. The flavour is of utmost importance, for what you can use purchased ones (especially for baits) or household like vanilla, jam, garlic, flour products, etc.